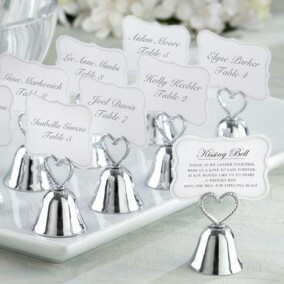 It's easy to transform your reception hall into a winter wonderland with these unique snowflake place card holders. 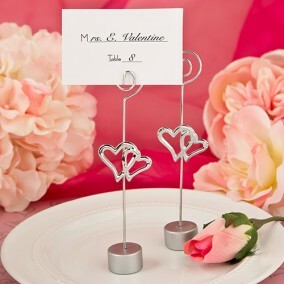 Each features a white base and a single snowflake gracefully sitting atop a metal stand. 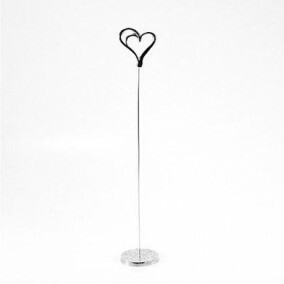 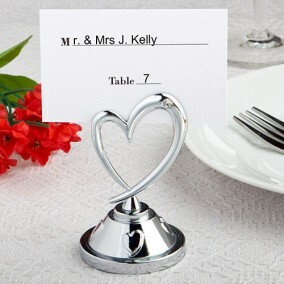 Perfect for displaying winter wedding or event seating arrangements and for holding a photo or note in your guests' homes, each is 11.5 cm tall. 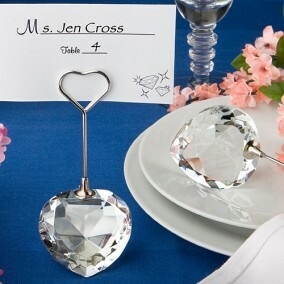 These attractive snowflake place card holders are made of poly resin and metal and come with place cards included.